Some neuropeptides such as neuropeptide Y (NPY) maintain energy balance. The aim of this study was to investigate the role of insulin on feed intake and their interaction with NPY receptors (NPY1, NPY2, and NPY5) in newly hatched chickens (5-day-old chickens). This study was performed in 7 experiments (in each experiment, 4 groups with 6 replications). In the first 4 experiments were used to investigate the doses of insulin (2.5, 5 and 10 ng), NPY1, NPY2, and NPY5 receptors antagonist (1.25, 2.5 and 5 μg) on feed intake via intraventricular injection were evaluated, as well as effective and sub-effective doses were determined. After that, the interactions of these compounds with insulin were investigated in 3 experiments. In experiments 5, 6 and 7, chickens received, NPY1, NPY2, and NPY5 receptors antagonist, prior to injection of insulin, respectively; then the chicken was injected with insulin to study the feed intake. In each experiment, the control group received a control solution. Then, in each experiment cumulative feed intake were measured up to 120 min after injection. NPY2 receptor antagonist, resulted in increased feed intake (p < 0.01), while insulin, NPY1 and NPY5 receptors antagonist (p < 0.001) reduced feed intake. 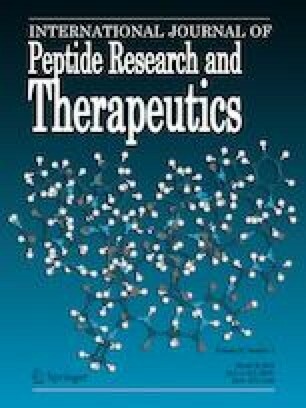 NPY1 receptor antagonist, amplificated reduced effect of insulin (p < 0.001), and NPY2 receptor antagonist (p < 0.01) demolished reduced effect of insulin on feed intake and increased it, but NPY5 receptor antagonist did not affect hypophagic effect of insulin (p > 0.05). It is concluded that, insulin has a decreasing effect on newly hatched chicken’s feed intake via NPY1 and NPY2 receptors. The authors thank the central laboratory (Dr. Rastegar Lab.) of the Faculty of Veterinary Medicine, University of Tehran for collaboration. This study was approved by license number 3/40151 at Ferdowsi University of Mashhad. All experiments were executed according to the Guide for the Care and Use of Laboratory Animals and were approved by the institutional animal ethics committee.